This is an onsite online only bidding estate auction. PLEASE READ TERMS AND CONDITIONS BEFORE BIDDING LOTS START ENDING February 3rd Sunday at 6:30PM CENTRAL This auction is being held at the estate location in Lostant IL . Local buyers may pick up their winning lots at our location. Out of area bidders may have their winning lots shipped All items that need shipping will be shipped by our inhouse shipping team. There will be a minimum transfer fee of $5 for a single item lot. Large lots or shelf lots will incur a $10 transfer fee. Please keep this in mind when bidding. These transfer fees apply to all items bought by local customers who wish to have their items brought back to our auction gallery for pick up. There are no fees for items picked up from the estate during the pickup times. PLEASE READ ALL TERMS AND CONDITIONS Preview Date February 1st 12:00-4:00pm or by appointment. All Items will be open for inspection. Please inspect all items in this auction. Everything is being sold in place and where is as is with no guarantees or warranties...... Pick up Dates Monday February 5th Tuesday 10:00am-4:00pm and Wednesday February 6th 10:00am-4:00pm We assume local buyers will pick up and we also assume if you live 600 miles away you will want your items shipped. If out of state bidders are picking up please contact us and tell us so, We are not mind readers and will not be held responsible for negligence if you decide to stop by and pick up your item after it has been shipped to you. If you purchase (and want shipped) a item that we have declared as "No Shipping Available on this Item, Pick Up Only" that item will be forfeited to the auction company with no refund. "No Shipping or Transportation" means exactly that, No exceptions. Please bring your own packing materials, ladders, tools and most importantly HELP, there will be a small crew to help you find your items and there will not be any packing materials on hand for you to use. Credit Cards on file with Proxibid will be charged Immediately after the auction has ended Internet Premium: 20.00% Participation Requirements: Valid Credit Card required for bidding approval Payment Options: Visa, MasterCard, Discover, Check, Wire Transfer, and Cash All sales are final. Buyer agrees that under no circumstances will he or she make a chargeback on their credit card account in relation to their purchases. Remember, a 20% Internet Buyer's Premium will be added to your bid price to arrive at the total purchase price. There is a no discount for CASH PAYMENT. A $15.00 service fee will be added to all cards which are declined so make sure you update your account before bidding. Payments may be made in person for all local buyers. Local buyers may pay by credit card, check or cash. All Items are sold As Is Where Is and do not have any warranties provided by the Auction Co. Out of area buyers, your lots will be shipped to you by our in house shipping team. ITEMS CAN AND WILL BE SHIPPED IF NEEDED. ALL ITEMS NOT PICKED UP WITHIN 10 DAYS WILL BE FORFEITED TO THE AUCTION COMPANY OR INCUR A $5 PER LOT PER DAY STORAGE FEE. All property is sold “AS IS”, and ALL SALES ARE FINAL. Property is open to thorough public inspection. It is the Bidder’s responsibility to determine condition, age, genuineness, value or any other determination factor. Matthew Bullock Auctioneers may attempt to describe the merchandise in advertising, on the Internet and at the auction but makes no representations. In no event shall Matthew Bullock Auctioneers be held responsible for having made or implied any warranty of merchant ability or fitness for a particular purpose. Bidder shall be the sole judge of value. Bidders who bid from off site and are not present at the preview understand and acknowledge that they may not be able to inspect an item as well as if they examined it in person. It is the Bidder’s responsibility to determine condition, age, genuineness, value or any other determinative factor. Matthew Bullock Auctioneers shall endeavor to describe in detail each item and any pertinent information about it. Matthew Bullock Auctioneers will not be responsible for any errors or omissions in the description of the merchandise unless it is a material and intentional misrepresentation of the item itself. Bidder agrees that everything is sold as is and that they may not return any item they purchase. Matthew Bullock Auctioneers is providing Internet auction bidding as a service to Bidder. Bidder acknowledges and understands that this service may or may not function correctly the day of the auction. Under no circumstances shall Bidder have any kind of claim against Matthew Bullock Auctioneers or anyone else if the Internet service fails to work correctly before or during the timed auction. Matthew Bullock Auctioneers will not be responsible for any missed bids from any source. Internet bidders who desire to make certain their bid is acknowledged should use the proxy-bidding feature and leave their maximum bid 24 hours before the auction ends. Matthew Bullock Auctioneers reserves the right to withdraw or re-catalog items in this auction. Shipping/Pickup Matthew Bullock Auctioneers in house shipping staff will package and ship all lots to you. There is no need to contact a 3rd party shipper. Items will be shipped UPS or USPS. Your credit card will charged once for your items and then a second time for your shipping. There is a handling and material cost associated with your shipping total please be aware that while we try to keep cost to an absolute minimum for you we cannot ship your items for free. We use new supplies, bubble wrap, boxes, and packing materials. Our goal is to get your winning items to you in the same condition as they left our building. If you have any questions or concerns please email us at shipping@bullockauctioneers.com ALL ITEMS MUST BE SHIPPED OR PICKED UP WITHIN 10 DAYS OF THE AUCTION ENDING. ANY LOTS NOT PICKED UP OR SHIPPED BY THAT TIME WILL INCUR A $5 PER LOT PER DAY CHARGE. We appreciate all of our bidders both local and out of the area but we are an auction company and not a storage facility. Due to past issues this rule will be followed for every bidder with no exceptions. Payment- Cash, Check, & Credit Cards All cards on file will be charged at 9:00am the day following the auction. If you wish to pay when you pick up, use paypal, or use another method of payment we must be contacted by 9:00am central the day following the auction. NO EXCEPTIONS. We deal with 1,000’s of bidders….Just because you paid cash when you picked up at the last auction do not expect us to remember that for the this auction. You must contact us after ever auction. 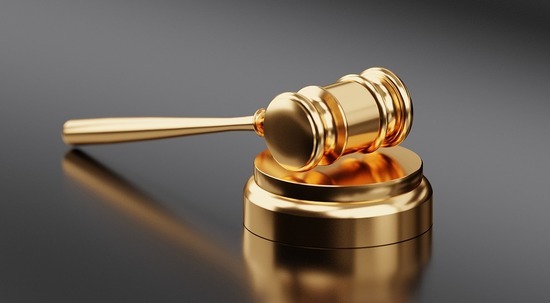 You may call us at 815-220-5005 or email us at amanda@bullockauctioneers.com At 9:00am following the auction we will charge your cards on file with Proxibid. No Checks over $500 unless pre-approved by the Auctioneer, No out of State or Business checks. PLEASE MAKE SURE ALL OF YOUR INFORMATION INCLUDING YOUR CREDIT CARD, ADDRESS, EMAIL AND PHONE NUMBERS ON FILE WITH PROXIBID IS CORRECT. If you have an old/unusable/declined credit card you will be charged an additional $15 on your invoice for a declined card. ONCE AGAIN NO EXCEPTIONS!! Due to past issues this rule will be followed for every bidding with no exceptions. Please understand if your credit card is declined we will open a dispute within 24hrs, if your invoice is not paid within 7 days a dispute will be opened regardless of any communication between you and our company. If for any reason you decide not to pay your invoice in a timely manner you will be banned from any future bidding on any future auctions. This will affect your ability to bid on any auctions with any auction companies on Proxibid. All items that need shipping will be shipped by our in house shipping team. You must pick up your items on one of these two days. Remember a $5 per individual lot, a $10 Shelf and Group lot, and $50 Furniture lot transportation fee will apply to all lots brought back to the gallery. We assume local buyers will pick up and we also assume if you live 600 miles away you will want your items shipped. If out of state bidders are picking up please contact us and tell us so, We are not mind readers and will not be held responsible for negligence if you decide to stop by and pick up your item after it has been shipped to you. If you purchase (and want shipped) a item that we have declared as "No Shipping Available on this Item, Pick Up Only" that item will be forfeited to the auction company with no refund. "No Shipping or Transportation" means exactly that, No exceptions. Please bring your own packing materials, ladders, tools and most importantly HELP, there will be a small crew to help you find your items and there will not be any packing materials on hand for you to use. Credit Cards on file with Proxibid will be charged Immediately after the auction has ended Internet Premium: 20.00% Participation Requirements: Valid Credit Card required for bidding approval Payment Options: Visa, MasterCard, Discover, Check, Wire Trandfer, and Cash All sales are final. Buyer agrees that under no circumstances will he or she make a chargeback on their credit card account in relation to their purchases. Remember, a 20% Internet Buyer's Premium will be added to your bid price to arrive at the total purchase price. There is a no discount for CASH PAYMENT. A $15.00 service fee will be added to all cards which are declined so make sure you update your account before bidding. Payments may be made in person for all local buyers. Local buyers may pay by credit card, check or cash. All Items are sold As Is Where Is and do not have any warranties provided by the Auction Co.